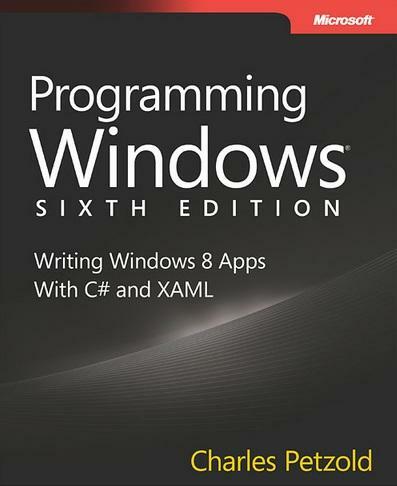 Programming Windows, 6th Edition is based on writing Windows 8 applications using XAML and C#. Programming Windows has been the most popular and useful book in the past. This is the 6th Edition of Programming Windows and it is all about the Windows 8 Apps. Programming Windows, 6th Edition has been divided into two parts- Elementals and Specialties. C++ code examples are also shown in this book. This book is specially written for the developers. The publisher of Programming Windows, 6th Edition is Microsoft Press. Now, you can guess the prestige of this book from the name of its publisher. This book consists of 800 pages. You can buy Programming Windows, 6th Edition book from Oreilly.com. They have a special offer for buying Release Preview ebook. If you will buy Programming Windows, 6th Edition from Oreilly.com before 27th August, 2012 then you have to pay only 30$ for the Release Preview ebook and you will also get the Final ebook on November 15th(its currently scheduled on November 15,2012 but can be changed later) along with it. If you will buy it between 27th August, 2012 and November 14th, 2012 then you have to pay 40$ for the Release Preview ebook and the Final ebook. After the release of Final ebook currently scheduled on November 15th, 2012 the price of the Programming Windows, 6th Edition will be 50$. I would recommend you to buy it as soon as possible to get the best price. Hurry up. Charles Petzold is an author who is writing the Programming Windows books from last 25 years. He is also awarded with the honour Windows Pioneer in 1994 by Bill Gates and Windows Magazine. He is an experienced Technical author and have written many Technical books.